I have a little cleaning obsession and constantly cleaning the house from top to bottom. So here's a tip to get all your Crome objects clean, smear and rust free! 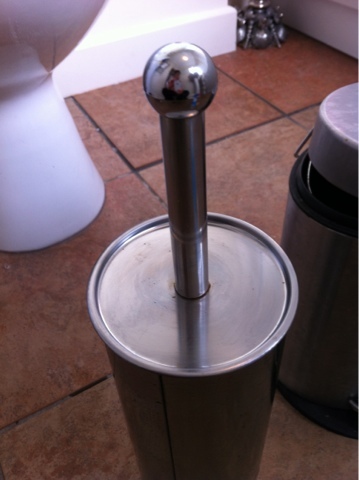 Oil on some kitchen roll or on a scowler for stubborn rust and work away at it until clean. Well it's works. I've only used baby oil and a kitchen tissue. 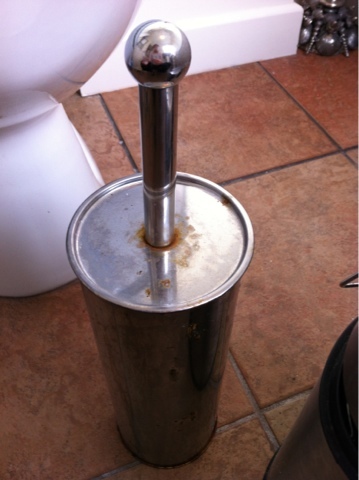 Sorry that it's the toilet brush holder I couldn't find anything else that had rust on it and it is rust not poop! Lol!